What’s really keeping more marketers from going native is a lack of quality content, continued measurement issues and the category’s perceived inability to trade programmatically. 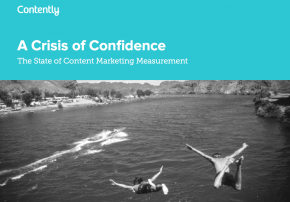 The MediaPost piece cites research from DMR and TripleLift, but more telling are these numbers from Contently’s new research report, A Crisis of Confidence: The State of Content Marketing Measurement. 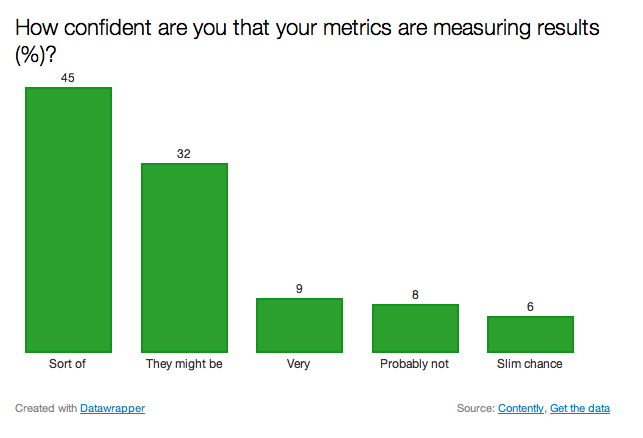 • 90% of marketers expressed uncertainty that their key content metrics are effective in measuring business results. • 73% of marketers identified Brand Awareness as a goal of their content. • 69% of marketers said that they were using pageviews/unique visitors to measure the success of their content, while less than half are examining time on site. Yet, 50% of respondents expressed a desire to be able to measure how much real attention people are paying to their content. • 7% of respondents are not measuring the success of their content in any way. So, to recap: Nine out of ten stealth marketers recommend . . . something else.